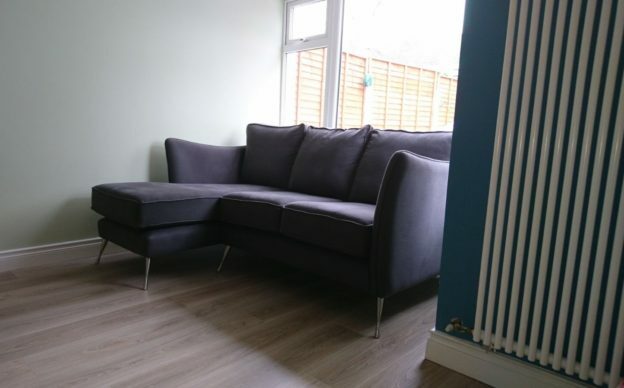 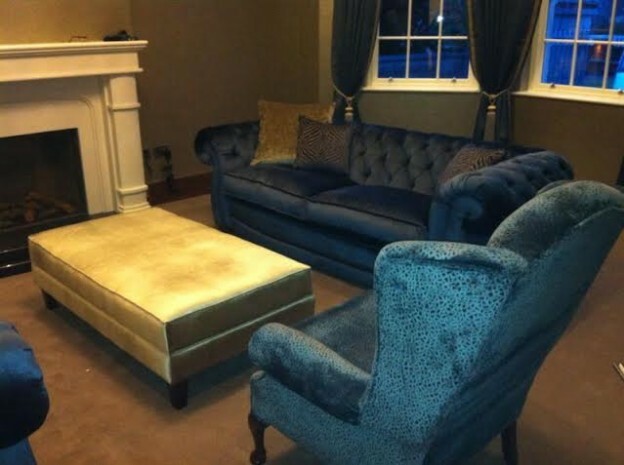 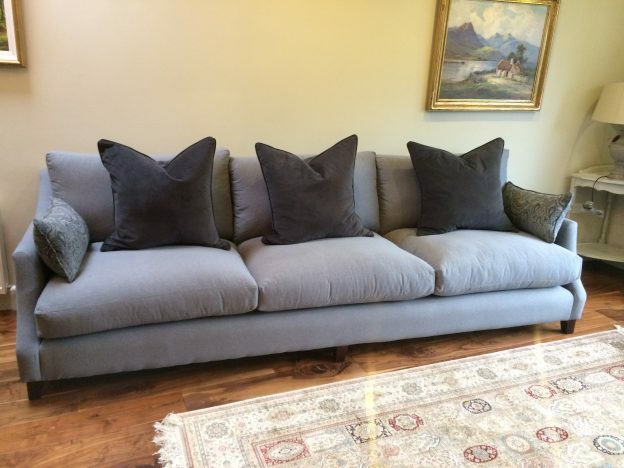 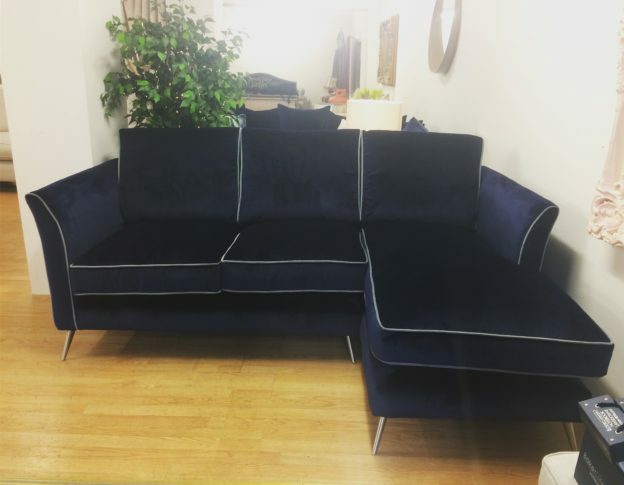 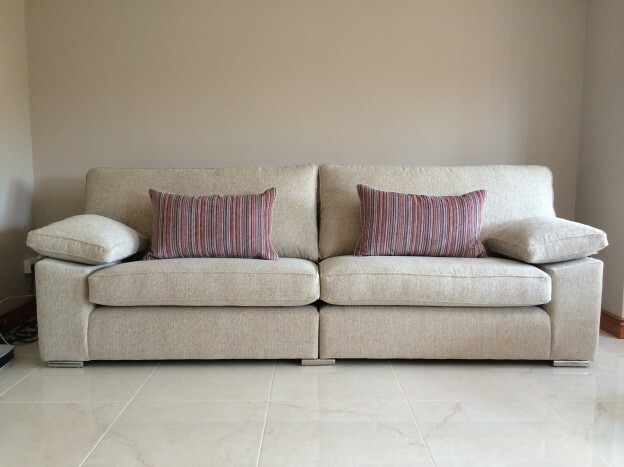 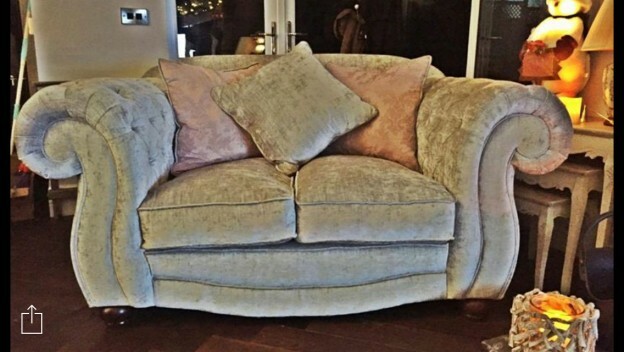 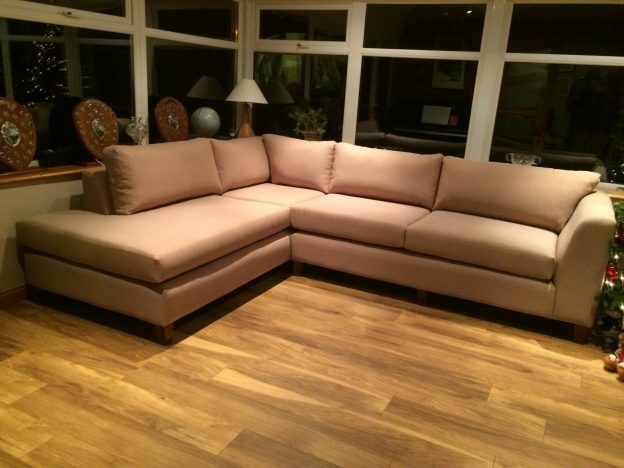 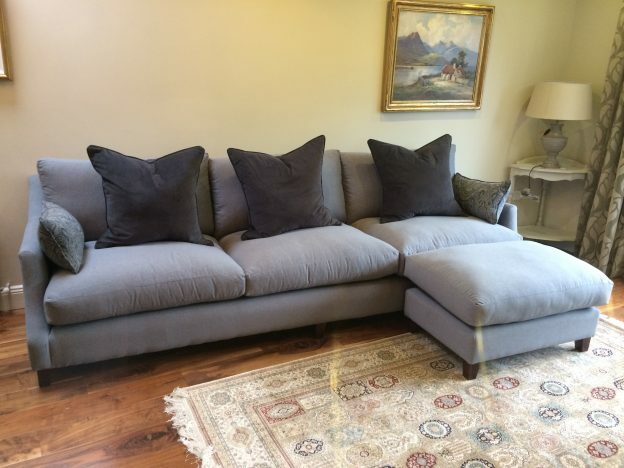 4 Seater Denver Sofa with padded arms. 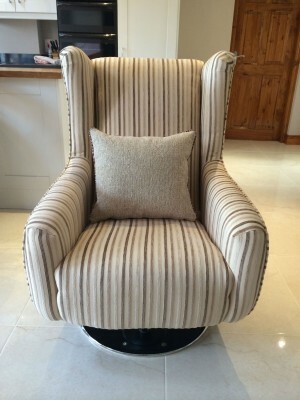 The Chrome swivel chair(below) was made to accompany this 4 Seater. 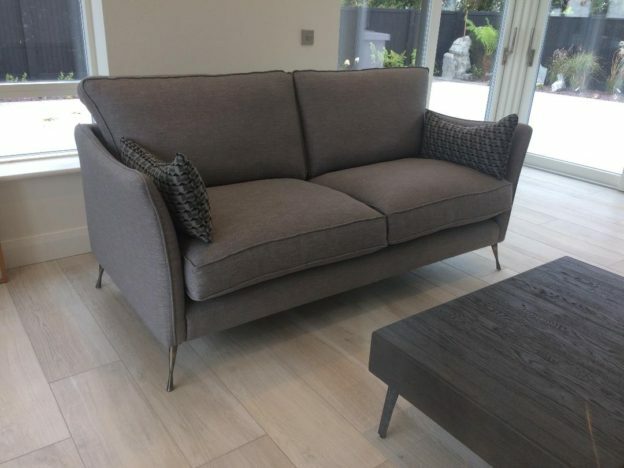 This Annabelle 3.5str Sofa only measures only 210cm L due to its slender arm design. 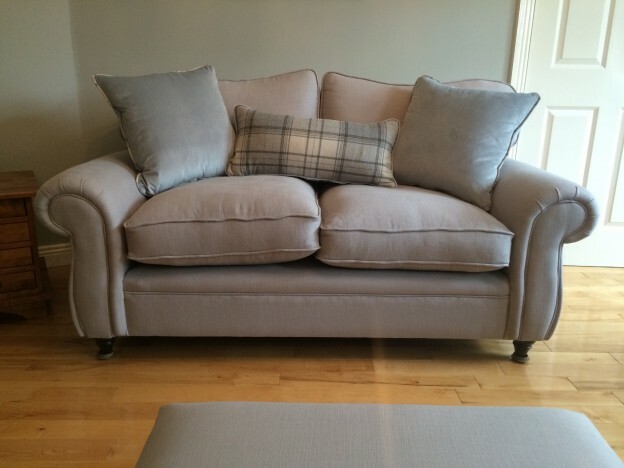 A real space saver. 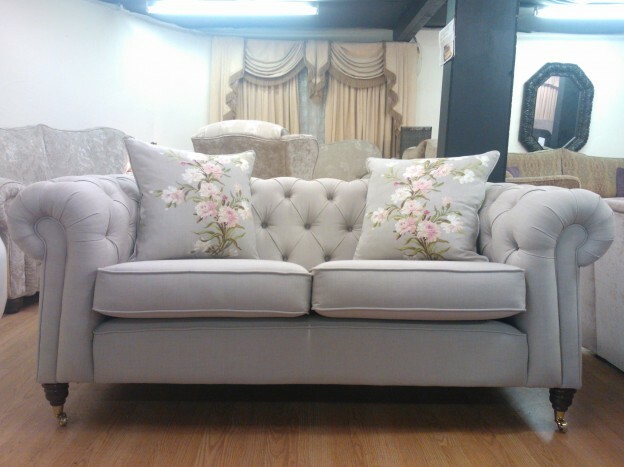 with extended seat and contrast piping.